Bentwood Olive Grove Accommodation and Function Centre is located on the beautiful Greenough flats in the heart of Western Australia’s Coral Coast. 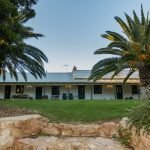 Just 23 kilometres south of the regional city of Greater Geraldton and 40 kilometres north of the twin towns of Dongara and Port Denison, Bentwood is ideally located for exploring the popular tourism attractions in the area. Greenough was once settled for its rich fertile soils and beautiful old stone buildings still dot the farming landscape of the flats. Today Greenough is known as much for its farming history as it is for its iconic leaning trees. Central Greenough Settlement is a National Trust property run by the effervescent Kevin Freeman. An afternoon can easily be spent at the settlement exploring the rare grouping of historic buildings in near pristine conditions. Finish off with a delicious meal at the Central Greenough Café. Located 2 km from Bentwood. The Greenough Museum and Gardens are a short 4 km drive from Bentwood. Highly knowledgeable local historian Gary Martin is the curator of the museum and will be happy to show you around the amazing community garden adjacent to it. Unique to the area the beautiful Leaning Trees can be seen on nearby farms and along the roadside from many vantage points throughout Greenough. The leaning is believed to have been caused by the salt laden winds coming off the ocean. A purpose built parking area is provided on the Brand Highway for the travellers to take photographs. Lucy’s Beach is a great spot for fishing or exploring. Located 4 km from Bentwood. Just 10 km north of Bentwood is the Greenough River Mouth. It is a great spot for swimming, fishing, boating or exploring the Greenough River Nature trail. The trail forms a 17 km loop around the river. Fun for the whole family the Greenough Wildlife & Bird Park, run by Jo and Michelle, is a popular attraction for tourists and locals alike. Animals at the park include kangaroos, emus, crocodile, dingoes and a huge array of bird life. Located 6 km south west of Bentwood. Located in the nearby farming community the Walkaway Railway Station Museum is well worth a look. It holds an extensive collection of Railway artefacts and tells the story of the devastating floods of February 1888. Located 7 km from Bentwood. Hampton Arms Inn is a historic Wayside Inn run by Judy and Brian Turnock. A rustic Pub and Restaurant with an extensive book shop can be found on the premises. Located 6.5 km west of Bentwood. Flat Rocks is a very popular surfing and fishing spot for locals and visitors alike 10 km south of Bentwood. The S-Bend Caravan Park offers the cheapest fuel south of Geraldton, 8 km south of Bentwood. For more information on what to see and do around Bentwood visit the Geraldton Visitor Centre.